HCM CITY (VNS) — The first annual Ao Dai Festival in Dam Sen Cultural Park on Sunday in HCM City attracted more than 50,000 people over two days. 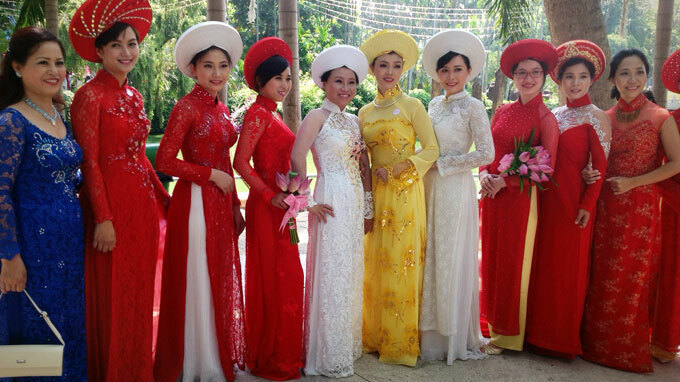 The displays included ao dai used in offices, festivals and wedding ceremonies, as well as accessories for the dress. An exhibition titled Vietnamese Ao Dai through Warfare was also part of the event. The festival was organised to promote Vietnamese culture and fashion to local and international tourists. Nguyen Thi Hong, deputy chairwomen of HCM City People's Committee, said at the festival that tourism had contributed 11 per cent of the city's GDP in recent years and was becoming more economically important.